So Fall has dropped, and if you’re a rec player north of the 49th parallel (or in the Northern US), you’re probably in that awkward transition from the outdoor game to the small sided indoor game. Playing multiple nights a week on various surfaces (including court, carpet, and various turf pitches) it’s always interesting to see what kind of boots people are using in the small sided game. One of the alarming factors I’ve noticed about players boot choices in the indoor game is it suffers from a lot of players who buy a lower tier Indoor Court shoe (Adidas F5 IC or Nike Mercurial Victory IC) and expect it to perform well across the various surfaces which populate the indoor game. So to kick off the indoor season, I want to run through the types of boots people wear indoors from court to FG, and give an idea of what surfaces they’ll work best on. I’ll also suggest a couple of models which offer both good performance and a decent price (say under $125). INDOOR COURT (IC): The bread and butter boot of most indoor players, regardless of the surface. If you play on multiple surfaces and can only buy one pair of boots, it’s your best bet. That being said, the sole of the boot is designed for flat surfaces. 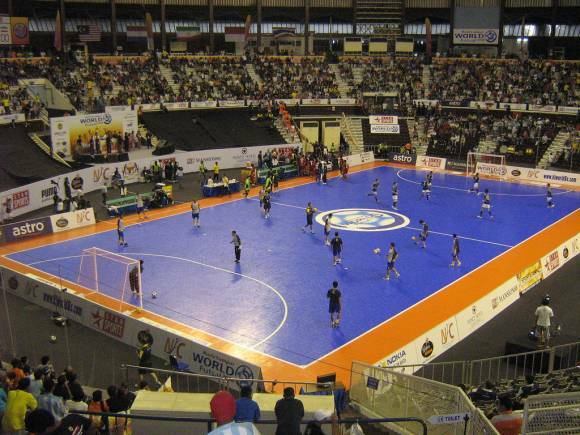 The Futsal court is where you’ll get the optimal performance, however, the sole is also the best fit for matches which occur on carpeted surfaces and the original astroturf which dates back to the 1960’s, and some centres still doggedly refuse to upgrade. While Nike and Adidas have marketed a line of boots designed more for street play, an old pair of indoors will serve you just as well for informal outdoor kickabouts which occur on tennis courts at public parks, or in the street. TURF (TF): For many years the staple soleplate on everything but the most tattered of turf pitches. Traction is provided by the numerous small rubber studs, which evenly dig into the artificial pitches. The improvements in turf pitches (see FieldTurf) have seen less of a NEED for the pure turf layout, as players are able to wear their FG layouts on the new turf. That being said, if the turf is a little older, or is FieldTurf which just isn’t being maintained properly (turf looks flat, lacking pellets), then the turf layout is the way to go. Artificial Grass (AG): The new tech when it comes to the indoor game. Nike is very much at the vanguard of the AG movement. The improvements in turf over the years has led to companies taking the game on turf seriously. The small hollowed out studs on the AG soleplate, allow the the advantage of keeping a low centre of gravity while not sacrificing traction. The AG boot is best suited to the current generation of turf pitches being produced, so if your indoor leagues take place in centres built within the last five years, it’s an easy decision to pick up a pair of AG boots. Adidas, Puma, Pele Sports, and Joma all offer an AG soleplate which differs from the Nike system, the former three companies stud layout resemble the seldom seen HG layout, while Joma’s follow the small hollowed out studs which has worked so well for the crew over at ‘Swoosh HQ’. Firm Ground (FG): While improvements to the quality of artificial turf surfaces has led to the development of the AG soleplate, they’ve also made it possible for outdoor boots to make the transition to indoor. The FG layout will be at home on the current generation of turf pitches, so long as they’re being well maintained by the operators. The main question regarding FG boots on turf is regarding which studs to use. Anecdotally, I advise using the classic conical stud pattern or the triangular studs featured on Adidas’ Sprintframe technology if you plan on using FG boots on the turf, and avoiding boots with blades altogether. Hopefully, this quick guide to indoor boot choices, will aid you as the indoor season prepares to start up. In my experience players budget much less money for their indoor footwear than their outdoor footwear which is why I’ve chosen boots which will provide you with a quality boot at a decent price. Best wishes for the upcoming indoor season! I have games in an outdoor turf surface, and I've been looking at the hypervenoms fg (practices are in normal fields), how do you think they'll fare? I don't foresee you having any issues Eddie, although Bryan would be the best bet to ask that to. The upper on the Hypervenom Phantom's are the same NikeSkin which graces the FC247 Elastico Finales and Bomba Finales. 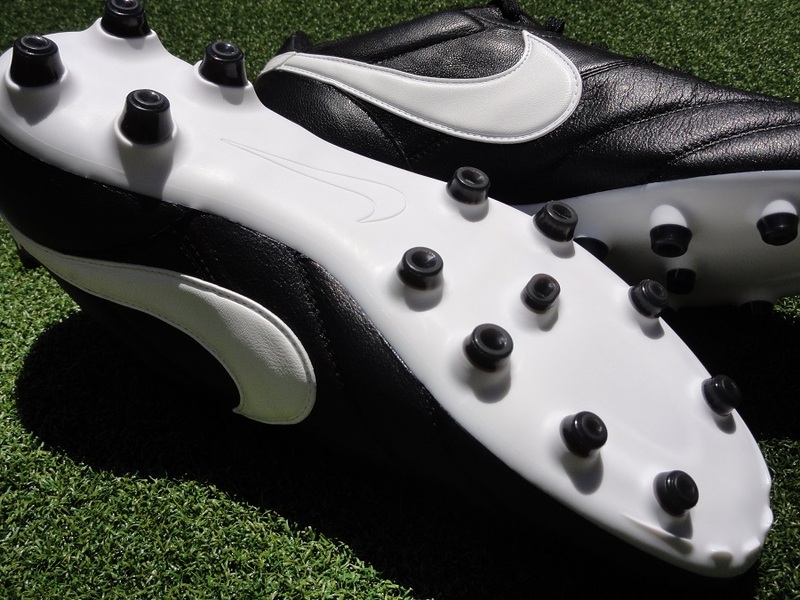 Also you do have the conical studs which I feel are the safest option for FG boots on turf. Maybe I'm just getting old but I don't like field turf being used in indoor arenas. It isn't the outdoor game and it shouldn't try to be. The old school astro turf also makes boot choices much easier (as the article alluded to): just get a good pair of IC shoes and you can also use them for court surfaces and pavement. The thing about Field Turf indoors is it's a lot more forgiving than the old school astroturf, so there's less pain in my joints after games. However, I definitely agree that we shouldn't be using the advancements in turf pitches to bring the outdoor game indoors, it's possible to benefit from the technology while keeping the indoor game distinct and different from its outdoor sibling, centres just need to be willing to let that happen. Hello! I must admit we are only at 44.1742° but winters still drive us inside for 4-5 months a year. We do an incredible amount of training on wooden gym floors. I am really old so I thought it was just me that had sore feet after 4 hour stints in the gym but today the 2 twenty somethings were asking "Why don't they make an indoor boot that has decent cushioning and arch support with a top that allows for good touch and ball striking? Because our feet are killing us!" Well, I have been asking the same question for 30 years and I never get a decent answer! Any suggestions? Thanks for the Q. For me the best boot cushioning wise for playing on wooden floors is the Joma Top Flex, which is Joma's top tier futsal boot. For me it offers all the things you've been looking for, although Bryan is a bit down on their touch I stand by them. Also the Nike Lunar Gato II is another great performing court boot offering everything your looking for and I believe is Byran's indoor boot of choice. Hope this helps! Sorry, I never thanked you for the reply! I bought a pair of the Nikes and so far have been very happy. I hope that you think of cushion/support and touch together as a criteria for coach's boots in your future evals.Tens of thousands of coaches are training kids on gym floors wearing old school sambas or new school super lightweight futsal boots and dying when they go home. Tens of thousands more are choosing running shoe comfort over touch and demo ability. Knowing there is a decent boot out there that can provide both would catch the attention of a lot of coaches and players! Thanks again! If you are in a competitive league and want to be on top of the game then spend on at least above average price for a pair of indoor soccer shoes. I played both indoor and outdoor, sometimes I forgot my cleats, I played with my running shoes. They are fine.